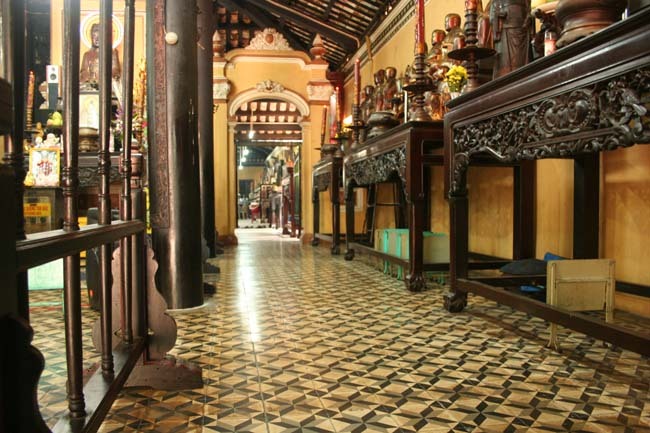 Among the bustling vibe of Ho Chi Minh City, peace may be still found in the fresh air and tranquil environment of Giac Lam Pagoda – the oldest pagoda in Saigon. Built over 250 years ago, this becomes a spiritual center for Buddhists and advocates to deeply reflect, worship, and practice their belief. Further, the pagoda is also a pilgrimage site for the sick and elderly. They believe that once a bronze bell inside the temple is rung, their petitions can be met. A significant piece of the city’s history can be reflected at Giac Lam Pagoda. It is quite easy to recognize the pagoda, due to its impressive height (32 meters with 7-storeys). Each of the floors in the stupa displays a wide variety of relics of the Buddha. Once stepping through the gates, you can instantly enjoy the tranquil sanctuary where monks pray every day. 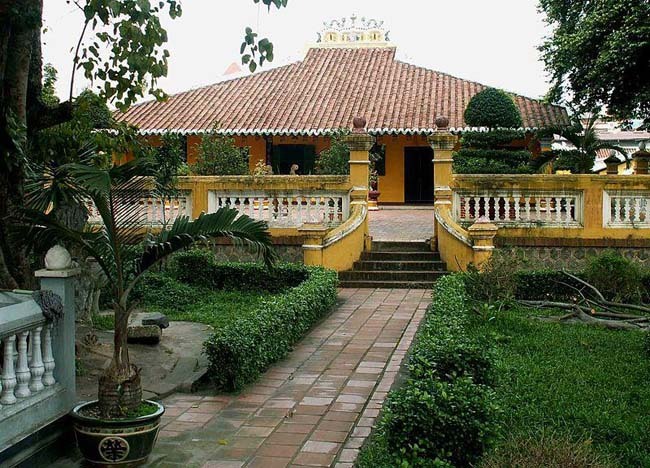 The front garden is said to house the adorned tombs of long-deceased and venerated monks. Head toward the large outbuilding where you may see delicate urns of ashes, pots, candles and lots of other offerings to the dead. While you have permission to climb the temple for a stunning view of town, the original wooden structure is indeed the true attraction. The rare Bodhi tree is situated at the center of the garden. It seems a big pity to ignore a gleaming statue of Avalokitesvara that stands next to the tree. In Giac Lam Pagoda, the main building consists of 3 important halls, namely the ceremonial hall, the meal hall and the dharma hall. There are 98 pillars throughout the temple, and all of them are sophisticatedly carved with Buddhist phrases. In addition, some of the historic statues can leave you from admiration to admiration since they illustrate the evolution of Vietnamese art throughout centuries. 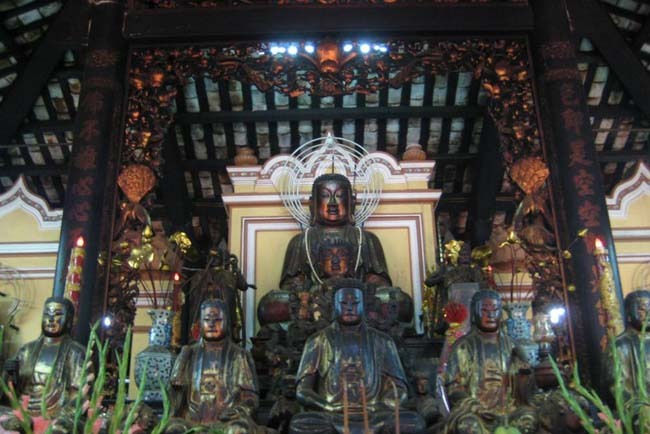 Don’t miss an opportunity to drop by the main altar that is centered around a statue of Amitabha Buddha – an influential figure in the Dharma. Once inside, you will be comfortable by the friendly and kind manner of the monks at Giac Lam Pagoda. Those who wish to stay overnight, enjoy vegetarian food, and experience praying practice are always welcomed by the pagoda’s manager. Based on the time you visit, you can get a lucky chance to see monks in yellow robes performing their chanting ceremony as well as prayer service. A well-known monk takes responsibility for ministering to the sick and the sufferers as well as telling fortunes in a side room. 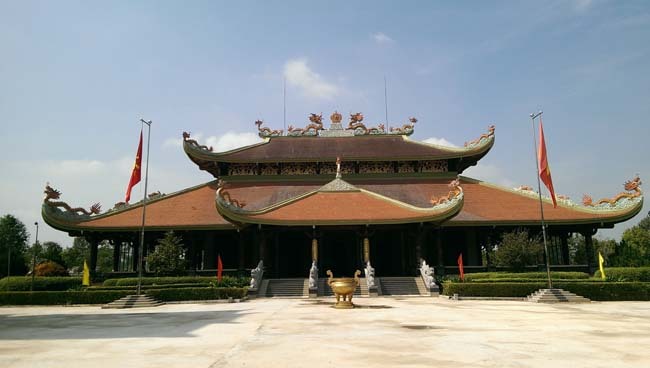 While locals tend to visit here to enjoy fresh air, worship Buddha, and keep their mind in peace, this also becomes an ideal place for foreign tourists to explore Vietnamese history and culture since the pagoda has been also recognized as a national relic. Giac Lam Pagoda is open every day, from Monday to Sunday. However, it is often closed for a few hours around noon (5 AM to noon and 2 PM to 9 PM). It is about 5.8 kilometers from downtown Ho Chi Minh City, and you can get there by bike, bus or even grab taxi. In the temple, just make sure that you follow 2 simple rules: No hats and smoking are allowed inside the pagoda. But, you can have permission to wear shoes.